If you've been avoiding Facebook because you're concerned about privacy issues or worried you'll lose your life to social networking, you've already spent too much time thinking about this behemoth of a site. 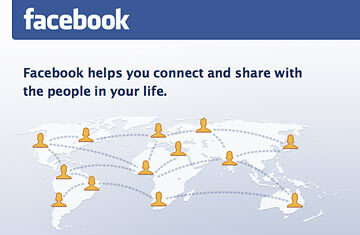 Although it's desperate to be more, Facebook is really just a phone book. It's where your acquaintances, friends, friends of friends and people you've met only a couple of times go when they need to find your e-mail address. While they're looking at your page, they'll be reminded of what you look like, your dog's name and your hometown  the kind of stuff that makes small talk easier. So go create a page, upload a picture and provide answers to questions you'd be comfortable revealing to a new acquaintance. Then "friend" the people you know. It's easy, takes a minute, and frees you to stop obsessing about the necessity of Facebook.